Clearing cache: What does it do and is it safe to use? Clearing cache: What does it do and is it safe? As the Android ecosystem evolves and our phones pack more features, there is an increasing need for additional storage in our phones. Apps are getting heavier, photos’ file sizes are increasing, and system files fill up that precious storage space more than ever. While a lot of OEMs are finally starting to equip their phones with decent amounts of storage, there’s still a lot of phones out there that just have not enough space for this day and age. Factor in the increasing amount of lack of microSD slots in recent phones, and the storage situation can easily become precarious. One of the most common solutions to recoup those lost GBs is clearing the cache of your device. While it does work, it is important to know what it does and how safe it is to do it. What does clearing the cache do? Let’s imagine this situation: you are scrolling down your Twitter feed. 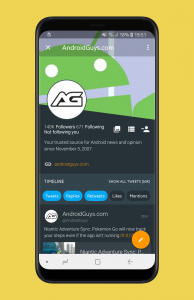 The app displays the profile picture of each account, consuming data in order to download it and show it to you. What happens if someone tweets again and the app needs to retrieve the appropriate profile picture? Downloading the picture again would be a massive waste of time and data. This is where the app cache comes in. When the picture is downloaded for the first time, it is stored on your device under the app’s cache. In case the app needs the picture again, it will just retrieve it from the cache instead of going to Twitter’s servers to download it. Getting an image (and any kind of data) from the internal storage is massively faster than getting it from the internet, giving you a better experience when using the app. It also means that Twitter is consuming less of your precious data by doing so, and it puts less strain on Twitter’s servers. It’s a win for everyone, right? If you have a phone with 32GB or more of internal storage, you will not care at all about apps’ caches filling up your device. However, if you have a device with low amount of on-board storage, then this can become a bit problematic over time. 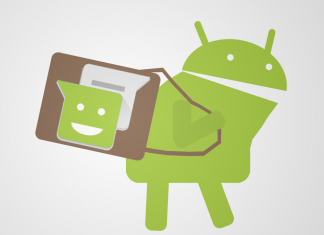 Thus, Android provides an option to manually clear the cache of an app. Doing so will free up that precious space, letting you download new apps or take more pictures. In case you want to do this manually, go to the settings of your phone. Find the Apps option, where you will get a list of all the apps you have installed. Then scroll to the app in question and press the Storage option. There you will find the size of the app’s cache and a button to delete it. Note: This process might vary slightly for certain manufacturers, but it should still be very similar to what is outlined here. Also, there are some manufacturers that offer an automatic cleanup of cache and other non-essential files. These normally deal with the cache of system apps, so clearing it will not always clean the cache of specific apps. In order to be 100% sure than an app’s cache has been cleared, it’s better to do it yourself. Is it safe to clear an app’s cache? In short, yes. 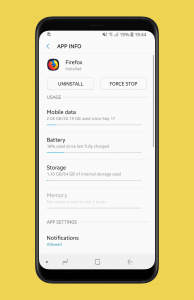 Since the cache stores non-essential files (that is, files that are not 100% needed for the correct operation of the app), deleting it should not aversely affect the functionality of the app. Actually, there are some very rare cases where an app’s cache can become corrupt, and clearing it could fix an issue. So, if you have low storage, or you feel that an app is not behaving as it should, you can just clear it to reclaim space. Always look for applications that have a high amount of images presented in their interface. Twitter, Facebook, and Instagram are three of the biggest apps that gobble up your storage, although, since social networking normally relies on imagery, then the whole category uses caching extensively. Browsers like Chrome and Firefox also like to use a lot of cache. However, unless you are dangerously running out of storage, this is something that should not be required of you. Not only will your experience degrade a bit while the app builds cache again, but also, every single request will go to the internet, which could increase your usage of mobile data if you’re not using WiFi. Finally, several apps have a really clever way of managing the app’s cache. If something stored there reaches a certain age (say, two months), the app can automatically remove it from cache, freeing up that space for you. This is not the case for every app, though. All in all, if you really feel the need to do so, the option is there for you, just a couple of taps away.